Fresh from the oven and waiting for some glaze. I like to mark a new year by posting the most un-diet thing possible. Last year’s new year post featured a mind-blowing chocolate cake. 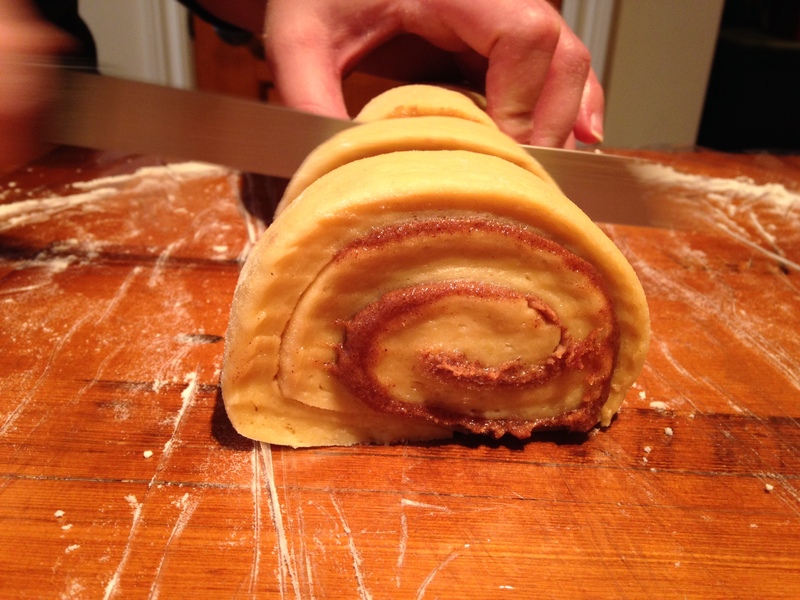 This year I would like to share a new baking adventure that created the most lovely cinnamon buns that have passed my lips. These yeast-dough buns are fluffy-yet-dense, lightly sweet so as not to compete with the cinnamon and sugar, and bake up into monster buns that you think you won’t finish but you absolutely will. I have certainly indulged in Cinnabon buns, bakery buns, been served cheater “Land of Nod” buns that I find too sweet with no spiral fun, but I have never made them myself. I can’t believe it took me so long! These will be a brunch staple for sure, the shear impressiveness of a pan of these right out of the oven begs for an audience. 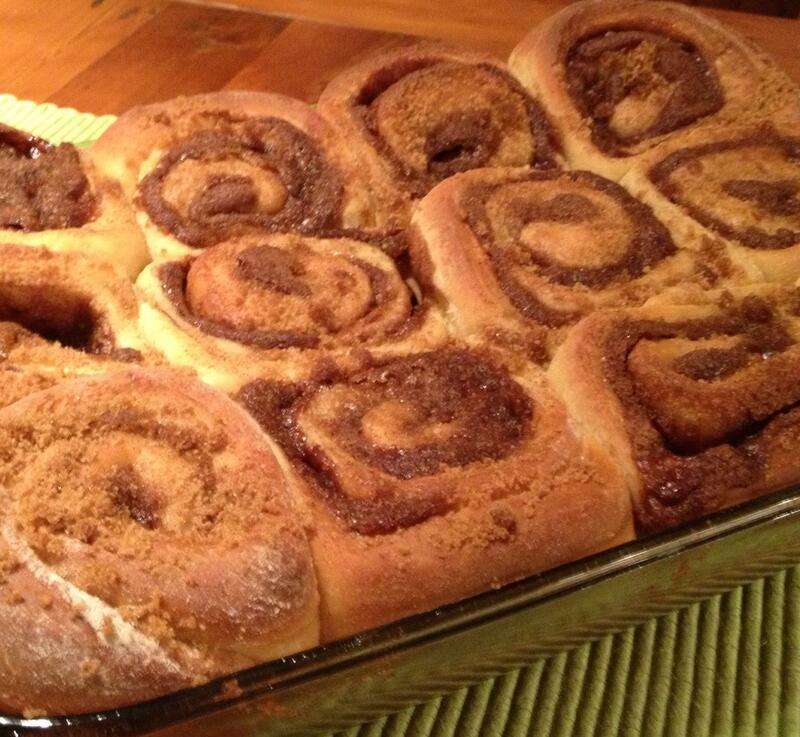 I used Michael Smith’s Cinnamon Rolls recipe and followed it exactly. I wouldn’t change a thing, either. The glaze to finish (not pictured) is the final touch- it’s not too sweet and gives just the right finish. My KitchenAid mixer was a big help with this one, although you don’t need to mix with the dough hook for too long. 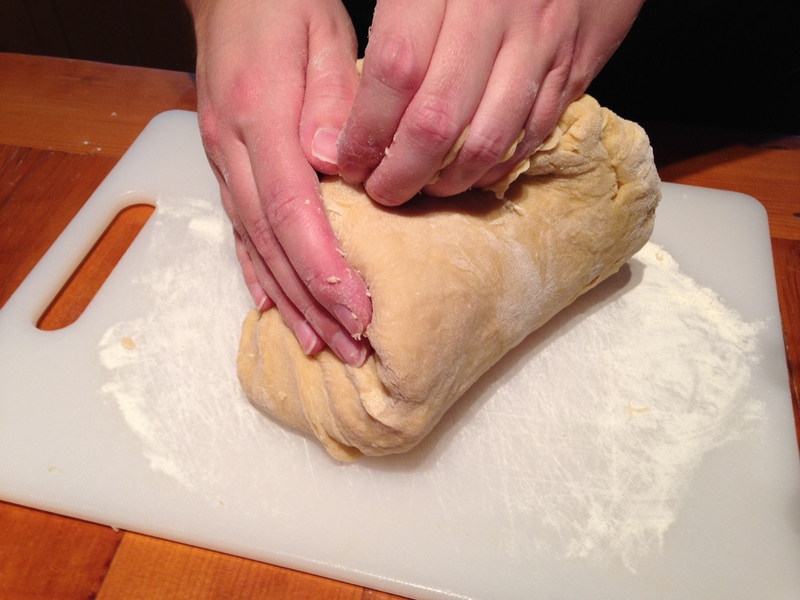 The dough comes together fairly fast and is a pleasure to knead into a smooth, elastic ball. It rose quickly (hint: I put it in my warm utility closet to speed the rise time) and rolled out like a dream. Almost like play-doh for adults. And it tastes better. I think you could make the dough the night before, let it rise and then store in the fridge to be ready for the morning, since it does take a couple hours from scratch. Cutting the roll for baking. And if you’re intimidated by yeast, kneading, rising time, etc., etc., don’t be! I have no real dough experience beyond pizza dough, and this was a dream. You’ll feel so accomplished after baking these, like Laura Ingalls Wilder would be impressed, I dare you to make them- and then tell me about it- or invite me for brunch.